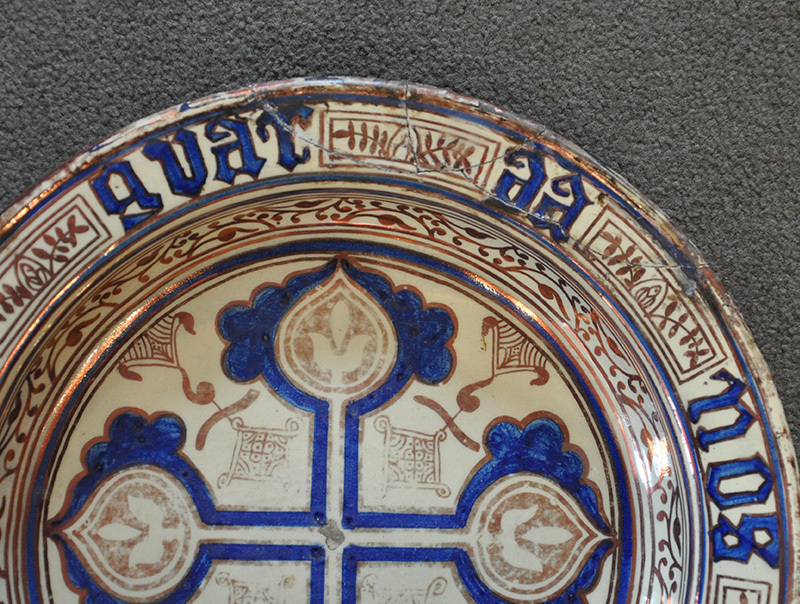 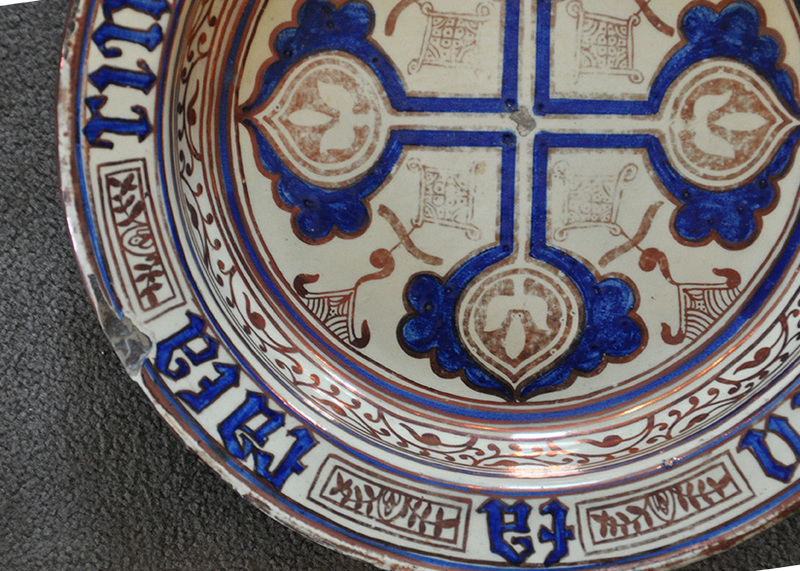 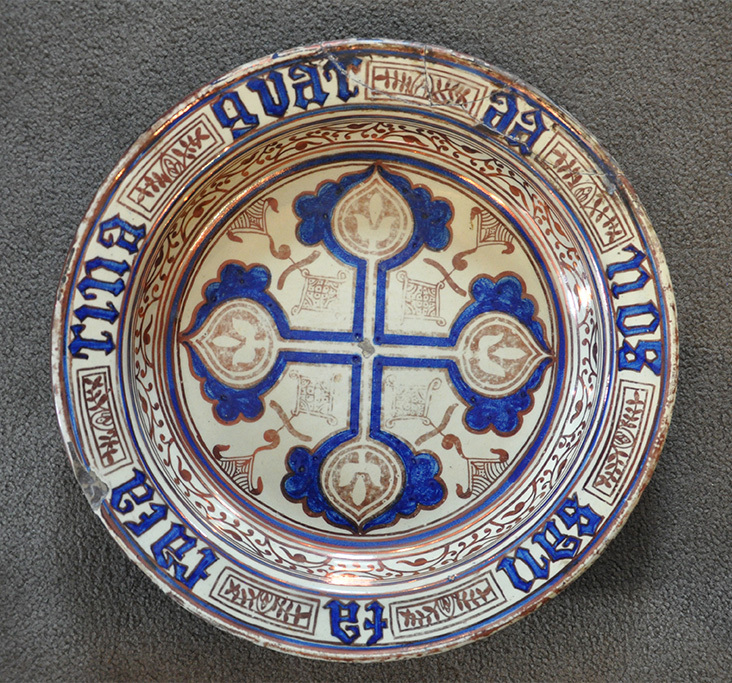 Rare early 17th century copper luster and cobalt decorated Hispano-Moresque shallow basin, Valencia, Spain, inscribed on the rim "Senta Catalina guarda nos" (St. Catherine protect us) in gothic lettering. 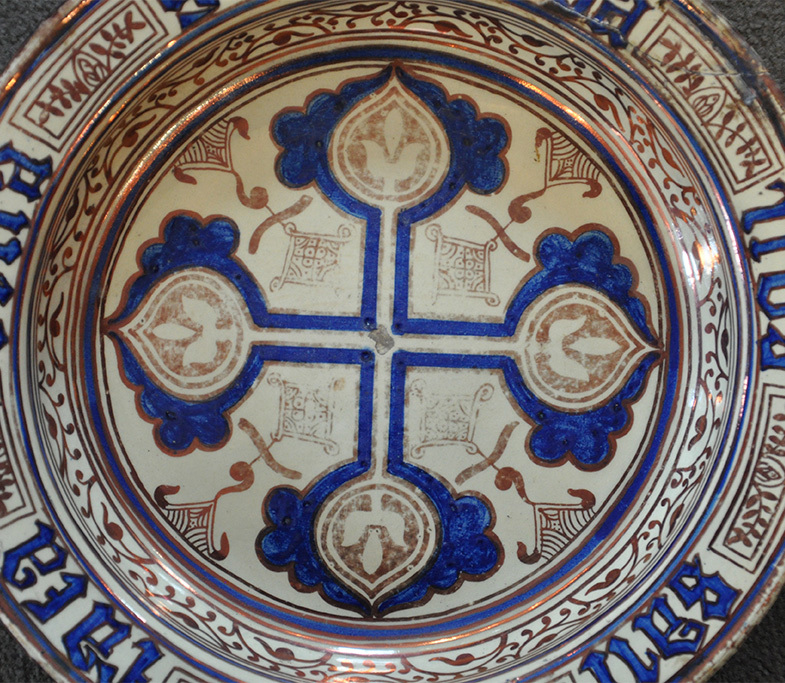 Diameter 14". 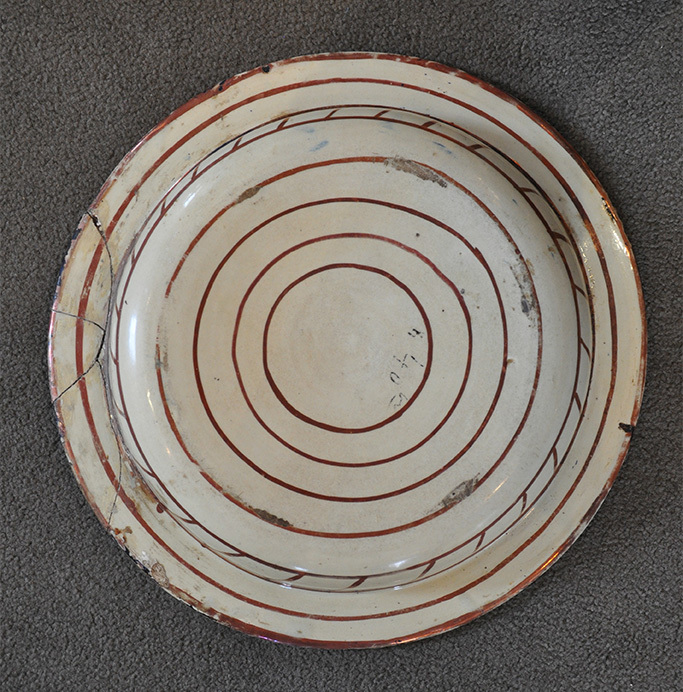 Condition: Repaired rim breaks, rim chips, and wear to interior glaze.